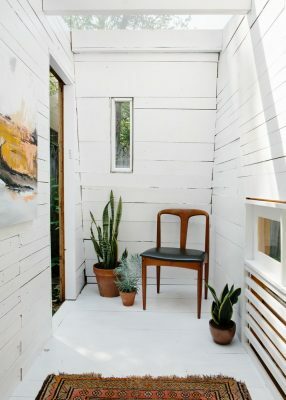 The Brooklyn Garden Studio is a 55-square-foot self-built retreat located in the garden of a Boerum Hill townhouse in Brooklyn, New York. 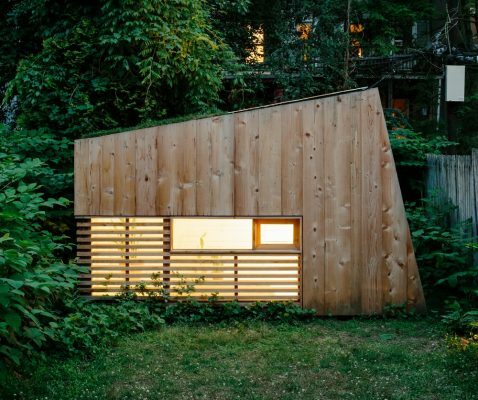 Built by the architect during nights and weekends over a four-month period, the studio is a resourceful exploration of stripped-down simplicity. A tinkering architect’s escape from the city, both in the act of building and time spent within its walls, it is a canvas for testing details and spatial constraints, an exercise in developing a language for larger work, and an indulgence in the experience of being one’s own client. 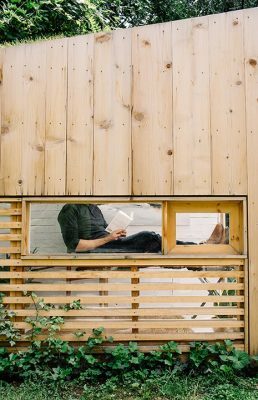 The studio is constructed of humble materials: standard wood framing and sheathing, plexiglass windows, and salvaged cedar siding. 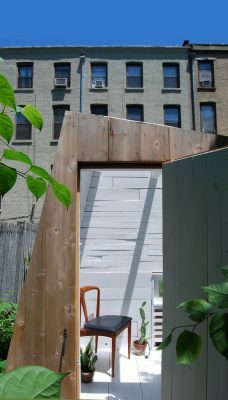 Fence pickets, reclaimed from a farm in Massachusetts, were trimmed to clad the interior. 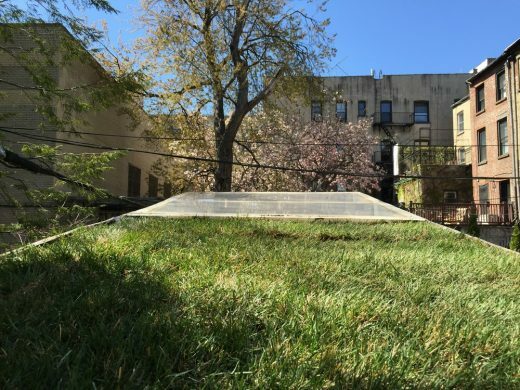 The structure’s form is simple and clean, shaped to shed water and adhere to building regulations. 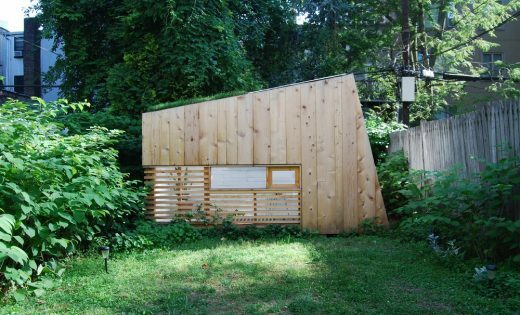 Openings are strategically located to reveal views to the ground, garden, trees, and sky. All visual references to its urban surroundings are intentionally hidden so as to facilitate a retreat from the bustle of city life. 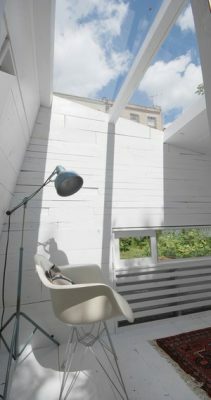 A double layer of horizontal slats allow views outward from a seated position, yet restrict the prying eyes of neighbors from floors above. The confined space can accommodate a chair, army cot, and table. 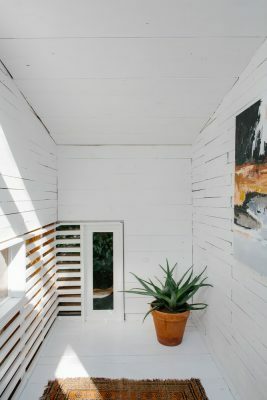 It is the perfect spot for an afternoon nap, or can double as a makeshift painting studio or quiet place to read. 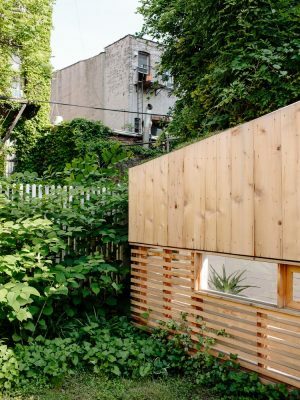 The Brooklyn Garden Studio exemplifies how, with inventive use of existing resources, a city dweller might make the most of a cramped urban landscape and learn through the act of building. The opportunity to experiment was the greatest inspiration.